Gotham City is coming back to the small screen in a big way. The first full-length trailer has been released for Fox's upcoming Batman prequel "Gotham," about the titular metropolis and its famous residents before Bruce Wayne became the Caped Crusader. Ben McKenzie ("Southland") stars as a young Detective James Gordon, battling the emerging villains of the titular metropolis. The trailer shows him vowing to investigate the murders of Wayne's parents. "I promise you," Gordon tells the future Batman, "I will find the man who did this." There are also glimpses of classic Gotham baddies in their younger days -- the Penguin, Catwoman, Riddler and Poison Ivy are all accounted for -- plus Jada Pinkett Smith as a new character, the gangster Fish Mooney. 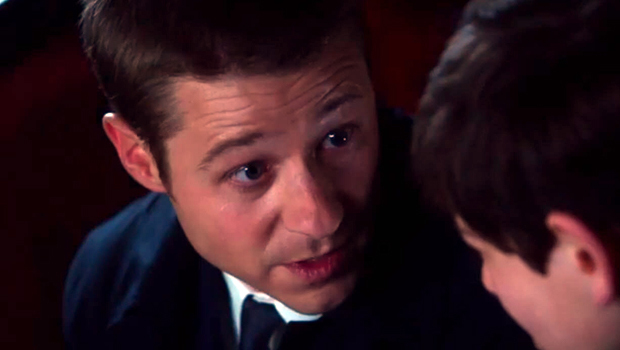 Fox announced Monday that it's giving "Gotham" a series order for this coming fall TV season.